Q. 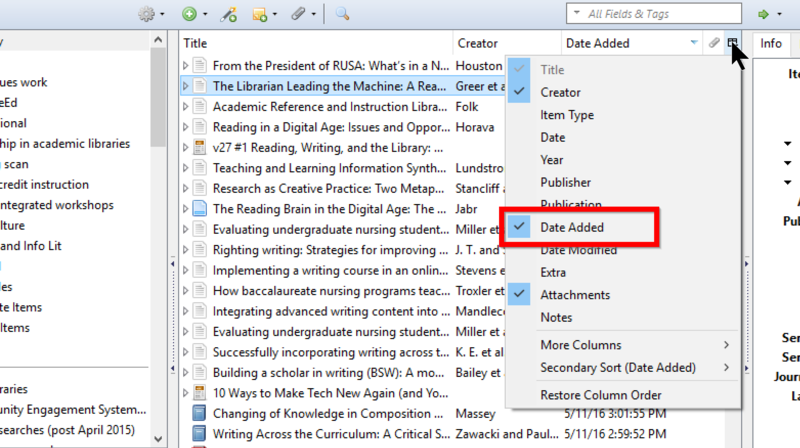 How do I sort entries in Zotero by date added? Zotero allows you to sort through your collection in many different ways. In order to sort by date added click on the small table icon just above the scrollbar in your library. That will give you many sort options you can check, including "Date Added." In order to resort the library by most recently added and oldest added simply click on the top of the "Date Added" column.